Drive(s)/work(s)/do(es) etc. 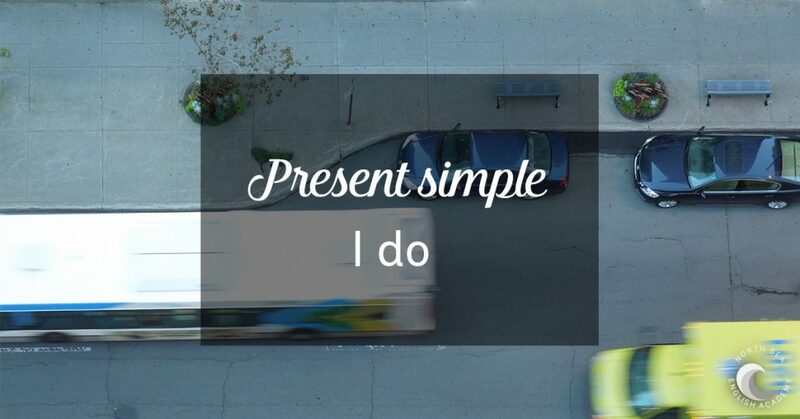 is the present simple. Nurses look after patients in hospitals. I usually go away at weekends. The cafe opens at 7:30 in the morning. If a word ends in ‑s, –ss, ‑sh, ‑ch, ‑x, or ‑z, you add ‑es. This rule applies to plural nouns and verbs after he/she/it. I come from Canada. Where do you come from? I don’t go away very often. Rice doesn’t grow in cold climates. He’s always so lazy. He doesn’t do anything to help. I get up at 7 o’clock every morning. Julie doesn’t drink tea very often. Robert usually goes away two or three times a year. I promise / I apologise etc. In the same way we say: I apologise… / I advise… / I insist… / I agree … / I refuse … / etc. Sarah _________ German very well. I don’t often _________ coffee. The gym _________ at 7:30 every morning. Bad driving _________ many accidents. My parents _________ in a very small apartment. The Olympic Games _________ place every four years. The Panama Canal _________ the Atlantic and Pacific Oceans. Sarah speaks German very well. I don’t often drink coffee. The gym opens at 7:30 every morning. Bad driving causes many accidents. My parents live in a very small apartment. The Panama Canal connects the Atlantic and Pacific Oceans. Use the following verbs to complete the sentences. Sometimes you need the negative. Rice doesn’t grow in Canada. The earth __________ round the sun. The sun __________ in the east. An atheist __________ in God. An interpreter __________ from one language into another. Liars are people who __________ the truth. The River Amazon __________ into the Atlantic Ocean. An atheist doesn’t believe in God. An interpreter translates from one language into another. Liars are people who don’t tell the truth. The River Amazon flows into the Atlantic Ocean. You ask Dara questions about herself and her family. Write the questions. You know that Dara plays tennis. You want to know how often. Ask her. Perhaps Dara’s sister plays tennis too. You want to know. Ask Dara. You know that Dara reads a newspaper every day. You want to know which one. Ask her. You know that Dara’s brother works. You want to know what he does. Ask Dara. You know that Dara goes to the cinema a lot. You want to know how often. Ask her. You don’t know where Dara’s grandparents live. You want to know. Ask Dara. Does your sister play tennis (too)? What does your brother do? Where do your grandparents live?